Come down to the National Mall this weekend and next, and experience the 50th Anniversary of the Folklife Festival! There are multiple themes this year. The Festival is presented by the Smithsonian Center for Folklife and Cultural Heritage and co-sponsored by the National Park Service. 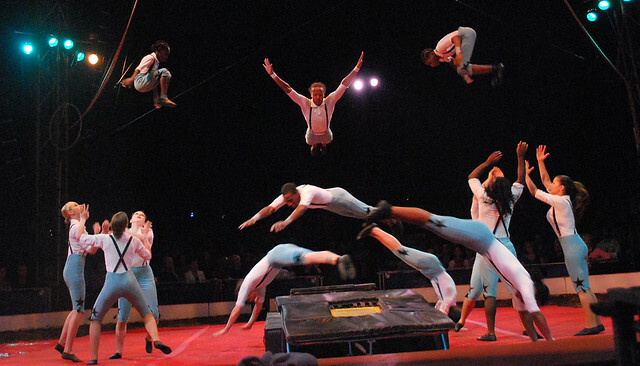 Circus Arts – The history, what’s happening now and a performance tent! On the Move: Migration Across Generations – How American culture has been shaped by people moving to and around the US, with cross-cultural and intergenerational dialogue and performances. 50 Years/50 Objects – As this marks the 50th Anniversary of the Folklife Festival, the Smithsonian will showcase 50 storied objects from their vast collection. Find the full schedule of events and activities here. For food (and that’s one of the main reasons to go), they have Mexican, Vietnamese, BBQ and Irish Pub grub! 11am-5pm everyday. Evening events at 5:30pm or later. The National Mall – here’s a map of the festival.